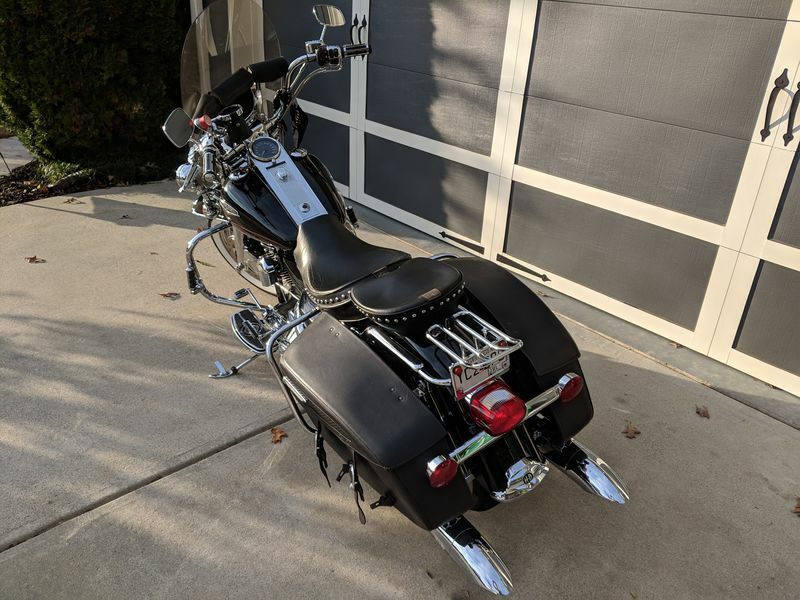 I have a very clean 2001 Harley Davidson Road King Classic I'm considering selling or trading for a new toy (Boxster). I'm a Porsche fan and would like to get back into one. No deal IMO. Harley is a tainted product. 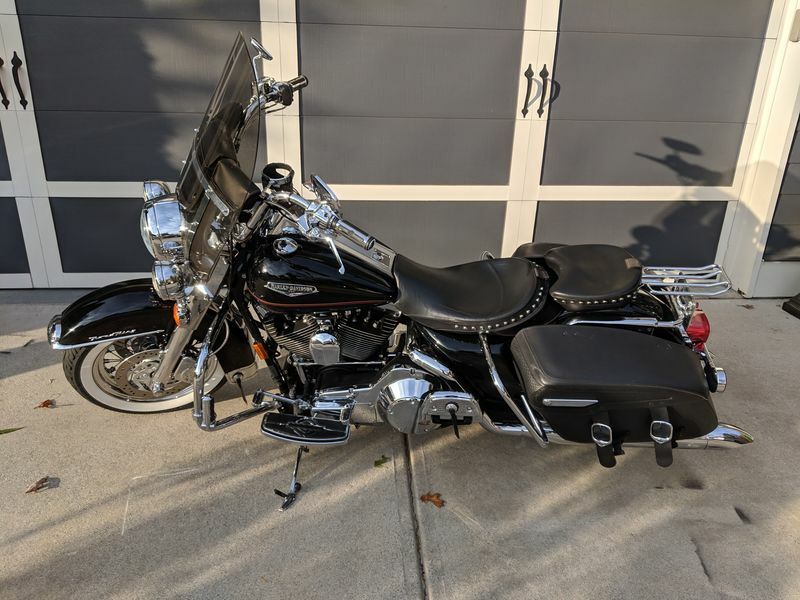 My last Harley was an 06 Road King and it was a piece of crap. Harley sold out to the Chinese. Then it sounds like you got a lemon. Very nice bikes. 2009 they made a lot of changes to the frame and a lot more changes in 2014. Find me a company that doesn't at least partially source Chinese parts. There are zero in existence. We let the Chinese copy our processes and did nothing about it for far too long. Sorry to hear you had a bad experience with Harley. This bike runs as good as a new one but at a fraction of the price and is holding its value better than any other. I would like to get a Boxster only to get a new toy, not because of any issue with the bike. The bike is perfect and I love riding it. Everyone has there own experience or have taken what they have heard for reality. To me Harley or Indian are the two brands I would go with. Others are cheaper but are very plastic and do not hold there value. I also like the culture of the brand just like Porsche. The culture of Porsche is why I want anothe one. Nice bike cmsnyder67 and interesting 'fence jump' you're attempting. Porsche and Harley worked closely in the 90's. On what? Development of new water cooled motors enabling each to move forward from their [mostly] air-cooled offerings. Many, sans 993 owners and other self-proclaimed purists, will say saving both iconic brands. .......I also like the culture of the brand just like Porsche. The culture of Porsche is why I want anothe one. This is an important and valid point. However, having spent most of my life in the motorcycle world, and now a newcomer to porsche, I'd point out that there are (in both instances) what I perceive to be "competing" cultures. In the Harley world, there are enthusiasts, and there are poseurs. The enthusiasts love the bike, the heritage, the history, and the competing values of technology and tradition. They also love motorcycling at its "lifestyle" root. This means they can appreciate ALL motorcycles and enthusiasts, understanding that each make has a certain appeal. Then there are poseurs, who want only the "status" of ownership. They buy all the harley paraphernalia, accessories, apparel, etc. They shape their dress and speech around their perception of a "harley owner". And they belittle and demean other motorcycle enthusiasts. Won't even wave at them on the road. These same competing cultures exist in the porsche world. The "purists", who insist that porsches are perfect and shouldn't be altered, and who believe (and preach) that all other marques are inferior. These are they who allow (or promote) the misconception of their neighbors and office mates, that their 986 is something exotic and expensive. But there's the side that loves the car for what it is. They're not afraid to try to improve with modifications. They cheer when they see another $3500 boxster on craigslist, and they'd love for others to know just how cheap and accessible they really are. 'Cuz why wouldn't you want others to have as much fun as you're having?